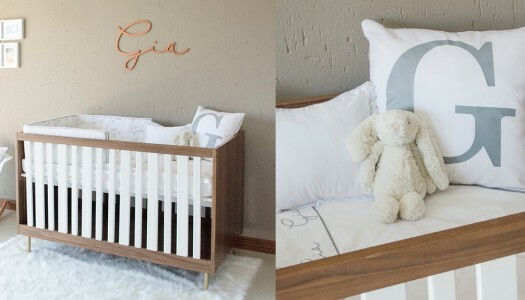 Natalie Sequeira Marques, owner of Ninho Baby and Child Nurseries, shares some tips on filling your little one’s nursery with personal style. How to design a bedroom that grows with your child. Whether you’re lucky enough to have an entire room to dedicate to your favourite hobby or you’re limited to a sunny corner, the basic rules for a craft space are the same – a place for everything and everything in its place. Follow our design tips to create relaxed and unfussy interiors you and your kids will love. Decorators and seasoned parents alike advise that you design and fit-out a nursery that can grow with baby so that you have the best of both worlds. Consider these five factors when choosing fabrics for a family living space. When designing a nursery for your baby, plan ahead and ensure it’s a room that will easily grow with your child. Here are five elements for longevity in the space. Are you looking to decorate your little one’s bedroom? Here are a decorating tips from Ingrid Loud, owner of Scarlett Fine Fabrics, as well as a list of our favourite kids fabric, decor and furniture suppliers.